Would you settle for turtles? “hat” is already used by the RasPi community! Badgelife, circa 2002, where the micro was the add on to the display. Nerds/hackers sure love them some pop culture kitsch. Only thing more cultured is rich people and yogurt eaters. 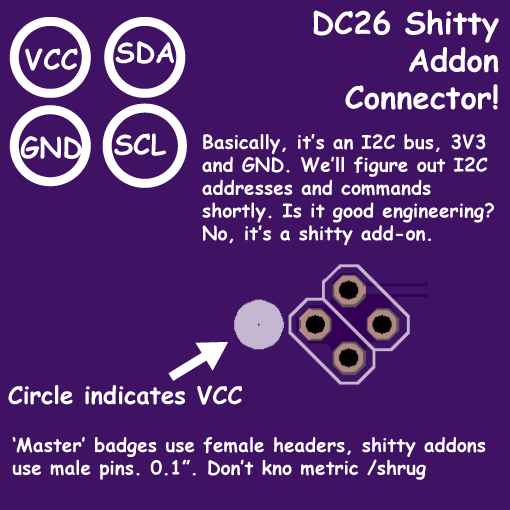 How do we get the art and custom shapes into KiCAD? I wanna see an article on that. 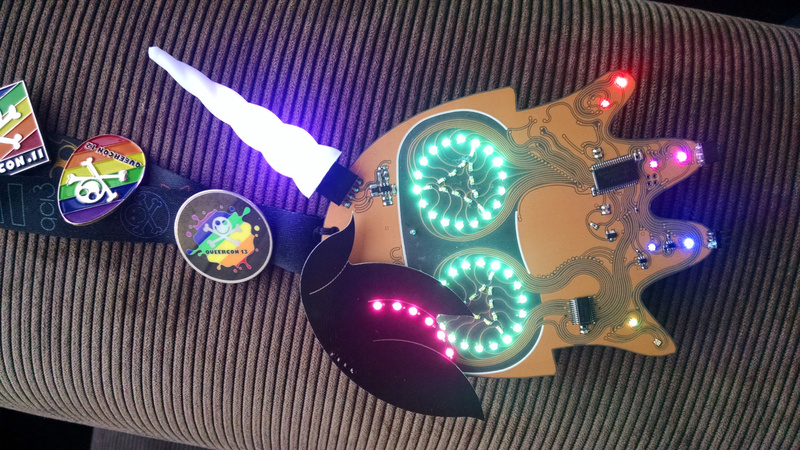 Actually, it looks like the entire badgelife community has standardized on Fritzing this year. 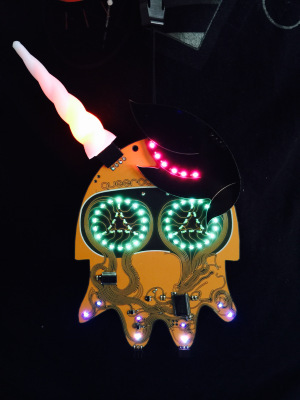 All the cool badges are using Fritzing. I’ll do one in Altium Designer then. Just to piss everyone off. 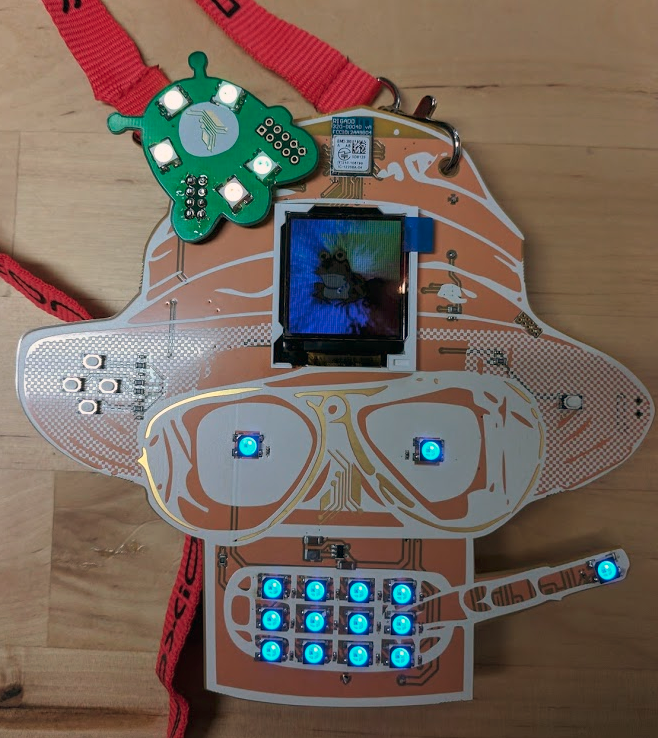 I2C, so you could potentially stack hats if the addresses don’t conflict, to say put that taco badge-hat into the Mr. Meeseeks badge-hat’s mouth. Now those Hexabits reported yesterday need to incorporate the S A-O S connector! Or put an Attiny on so you can reconfigure it as you see fit (this would enable stacking of one of each design). Going to design a badge and add-ons sometime and go to a con. Are the Bender badges powered by a 6502?